An alternate winner has just been drawn: Kim, you won! I just sent you an email, and please contact me with your mailing address. I still need to hear from Mrs. Sharp. If I don't hear from you with a mailing address by May 31, I'll draw an alternate name. May 17th: The contest is closed. Thank you to everyone who entered and/or purchased the book through the sale at OSV! Please email me your mailing address, and then we can send your books out! Our Sunday Visitor just delivered some great news! 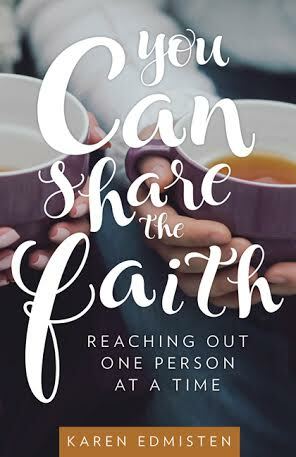 The Association of Catholic Publishers announced finalists for their annual Excellence in Publishing Awards and Deathbed Conversions is a contender in the biography category. Winners will be announced in late May. OSV is also sponsoring a sale and a giveaway. From now until May 16th, you can buy the book for just $9 (down from the $13.95 cover price) through this link at Our Sunday Visitor. If you leave a comment on this blog post, I'll enter your name into a drawing (I like to have Ramona or Betsy draw the names from my current favorite coffee cup) to win one of five free copies of the book. OSV will be sending out books to the winners, and if you'd like a signed bookplate, I'll send that on from my end! If you've ever wanted to read about deathbed conversions, now's your chance. Edited to note: Entries for a paperback copy of the book are limited to those living within the continental U.S. If you live outside the continental U.S., OSV can send a digital copy of the book if you are a winner. Cool, I'd love a book! Oh, and Romana and Betsy, I can make your life so, so miserable. That is so wonderful!!! What a well-deserved honor! I don't need to win a copy, but I just wanted to say congrats! I'd love a copy! Thank you! Looks like a great book, I'd love to have one. Atticus, you must go away. You are disqualified. I would like to win this book. thank you for the chance. I found your blog via Roxane Salonen. 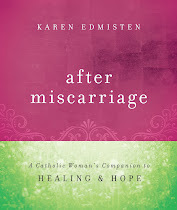 I have found your 'after miscarriage' book very helpful and would love to have a copy of this book of yours to read! Wonderful, I would love to win a copy. I would love to win a copy! It looks great. I've been wanting to read it, especially after watching John Wayne's granddaughter on The Amazing Race. Woul love to read this! Congratulations on the honor and thank you for the giveaway opportunity. It's a book - of COURSE I'd love one! Congratulations on the ACP finalist nomination!! Yay! Congrats! I would love a copy! Congratulations on the honor! Would love to win a copy! Ramona, that dog *will* be fed tonight, Deathbed Conversion or no Deathbed Conversion. Congratulations! I would love to win a copy. I would love to have one of your books! Congratulations! I plan on having a deathbed conversion, this would be great for helping me achieve my goal! What a great topic! Not a usual subject of conversation, for sure. Would love a chance to get this. 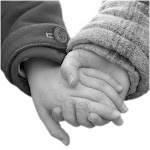 What a great topic - and one that's not usually talked about. Would love a copy! I don't think I can wait that long to get a copy so I'm ordering one but I do want to congratulate you and if I win it I'll do a giveaway on my blog. Deal? It would be so nice to receive a copy of this book. Looks very interesting. I have heard how good this book is and would love to win a copy! Thanks! I'm a cradle catholic convert! That is, one for whom the gift of faith was taken for granted the majority of my life. 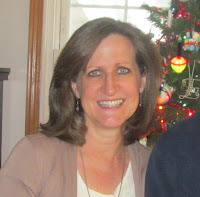 Then strange things with study, spiritual leadership and prayer led our family to openness to life, homeschooling, and right back in the arms of the Church. A big factor in my wake up call has been reading conversion stories, about the pearl of great price. I love every conversion story because it's a witness of the Holy Spirits testimony in our lives. Can't wait to read deathbed conversions! I would love one - if you are able to enter non-US residents! Sue, I checked in with OSV and for those outside the continental U.S., a digital copy could be sent to winners. Thanks for asking. And to everyone who has entered so far, thanks for your interest and encouragement! Congratulations, Karen! I'd love to win a copy of your book. Thanks! This book sounds really intriguing. I'd love one! Would love a copy. Hope to win. Fascinating topic! I would love a copy of your book! Thank you for the opportunity. Love conversion stories, and deathbed conversions are really fascinating. I'd love to win a copy. Thanks for the giveaway! I would love to win a copy! Sounds like great summer reading. This book sounds fascinating! I'd love to win a copy! Sounds neat! I'd love a copy to read and pass on. As a convert, I love conversion stories! How wonderful, Karen! Would love, love to win a copy of your book! I would enjoy reading this book...it sounds inspiring and unique. This sounds great. Would love to read this. Blessings! Congratulations, Karen! How awesome!! I would love to win a copy, too ... and a personalized bookplate would be icing on the cake! Thank you, and God bless! I would be so happy to win a copy. Congratulations! I'd love to win your book!